At VW Bus Imports we are VW enthusiasts dedicated to help others find a scaled and cost effective route into Volkswagen Type 2 ownership. 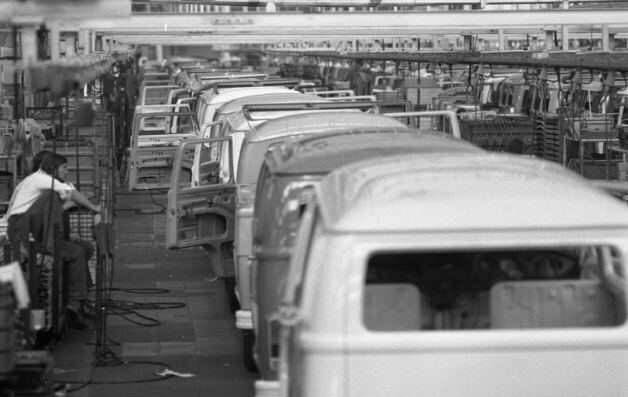 We are aware of the pitfalls when buying 40 year old vehicles and won't supply anything we wouldn't be proud to drive ourselves - our aim is to source, acquire and import rust free VW Bay Window Buses and Campers from California. Our preferred model is the 1972/73 'Crossover' which blends the best of both worlds, the low light look of the early bay but with the better mechanicals of the later bay. Crossovers come with items such as servo assisted brakes and the later and more robust 'type 4' engine. Of course, being 72/73 models future UK owners will benefit from 'Road Tax Free' ownership of their cherished vehicle. However, we are happy to help you find the bus of your dreams from the USA regardless of year or model type, and often have a wide selection of buses to chose from to suit any taste or budget. There are numerous ways in which we can help you on your journey into VW camper ownership, go to our 'How to buy' page for further details. With our vehicles what you see is what you get. We only sell vehicles which are unrestored - that means no previous welding, no hidden filler, just genuine, solid, original metal. They may bare the signs of a 40 year old history, but remember, shiny doesn't always mean solid! As these vehicles are from the USA they are all Left Hand Drive. This does not affect their value or the cost of your insurance premiums.